Pick up passengers from Hotel Chaithram and proceed to Sree Padmanabha Swamy Temple. Proceed to Sree Padmanabhaswamy Temple - Darshan at temple. Sightseeing at Puthenmalika / Kuthiramalika Palace, adjacent to Temple. Proceed to Zoo, Museum & Art Gallery. Sightseeing & leisure. Proceed to Kovalam beach. Leisure at the beach. Proceed to Bio-diversity Museum, Vallakadavu - Leisure and informative visit at Bio Diversity Museum. 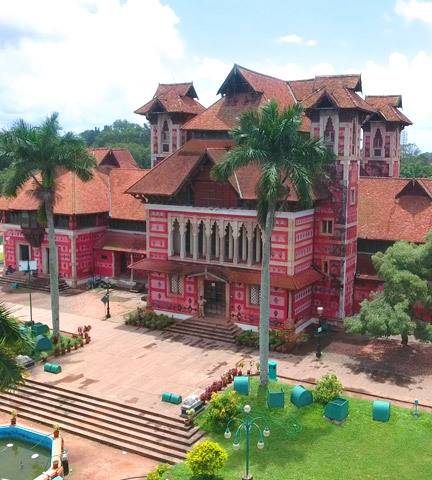 In the heart of Thiruvananthapuram city lies the great Napier Museum and the Natural History Museum in the Museum compound, close to the Zoological park. This museum is named after Lord Napier, the former Governor General of Madras. This 135 year old structure is a landmark in the city with its unique ornamentation and architectural style with Gothic roof and minarets. 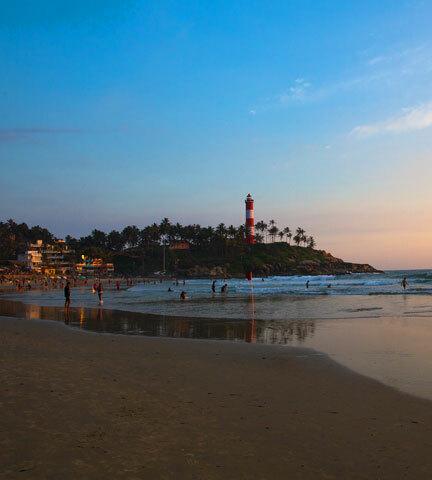 A seaside town, which has been a favourite haunt of tourists for more than hundred years, Kovalam is Just a short drive away from the Thiruvananthapuram city. Golden sands, miles of sparkling sea, rocky capes constantly caressed by the sensuous surf and sunshine, make this place truly mesmerizing and attractive. Kovalam comprises of three adjacent crescent-shaped beaches - Lighthouse Beach, Eve’s or Howah Beach and the Ashok Beach. Kovalam Beach offers a variety of activities including surfing, catamaran rides and boating. Inclusions & Exclusions The package is inclusive of travelling expenses only. Entry tickets at all sightseeing places, boating charges etc and all food expenses will be borne by the guest. Tours will not be operated on Mondays. Children – 4years onwards full ticket.